When you want to create a neat and tidy edge for your garden or keep soil or mulch in its place, we carry the border or edging you need. 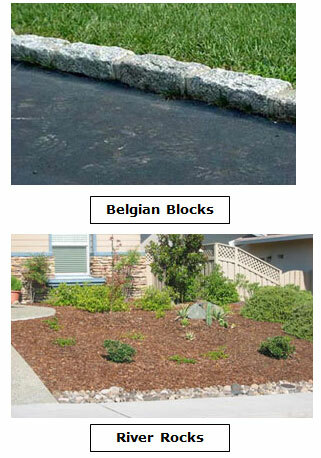 Choose natural Belgium block, river rounds and other natural stones to create your border. 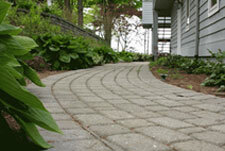 We also carry decorative concrete curbstone or edgestone. 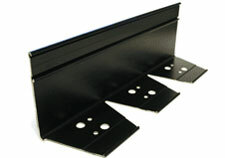 Plastic edging is economical, easy to install and durable. We carry Permaloc™ and SuperEdge™, among others. AsphaltEdge™ is a patented line of flexible, L-shaped aluminum asphalt restraints. One of the biggest drawbacks of asphalt compared to concrete and brick is an inconsistent edge. With Permaloc AsphaltEdge, you get a strong, uniform 90-degree edge. It installs quickly and easily, making your work stand out and providing a “finished look” – an excellent compliment to any asphalt installation. 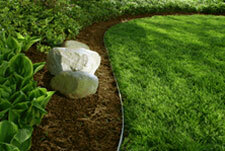 Landscape beds are the most common use for landscape edging. 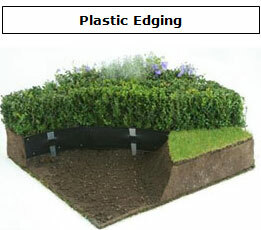 Our edging can be used to separate turf from planting soil, mulch, stone, glass cullett, or any other bedding material. 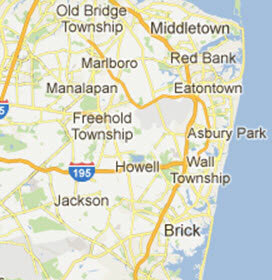 Brick Pavers are very popular for walkways, driveways and patios. In order to keep the pavers in place for the life of the project, a paver restraint is required to edge the pavers.